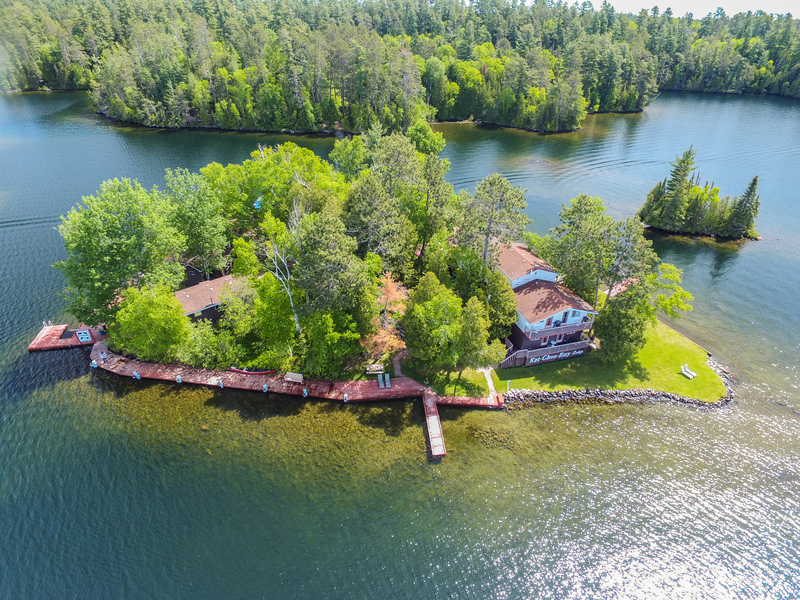 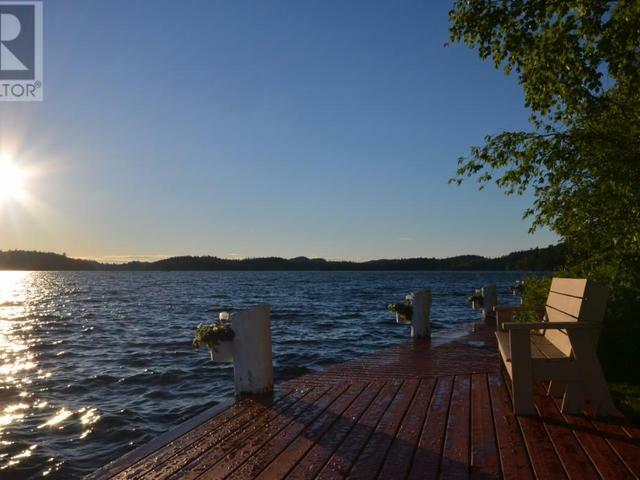 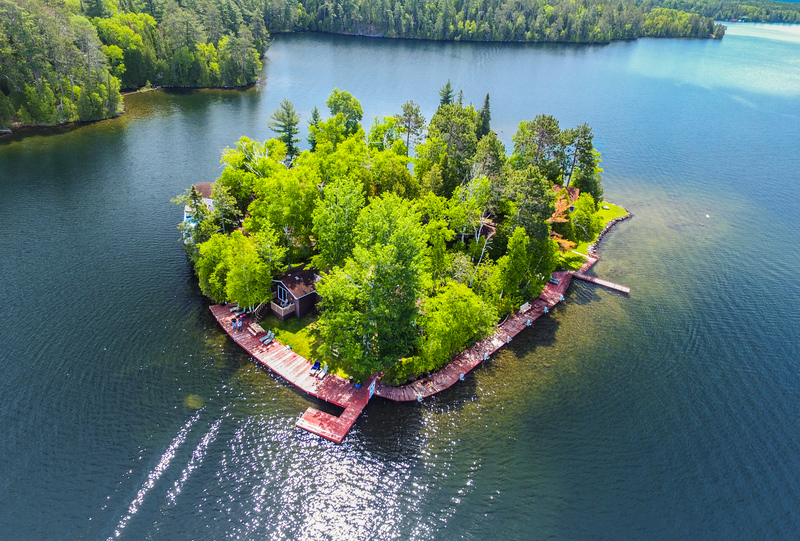 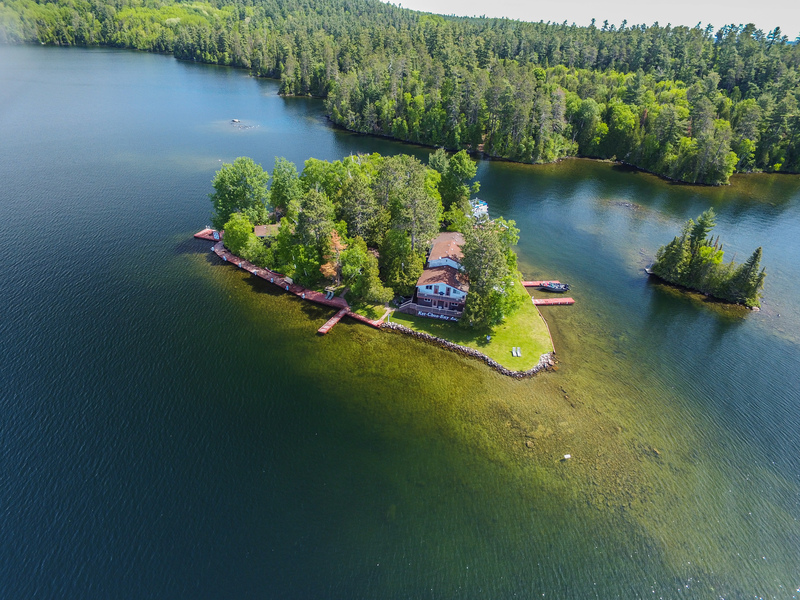 Exclusive 1.3 acre island set amidst the oldest formation of Precambrian Rock, ancient trees and clean clear waters dotted with over 1200 islands. 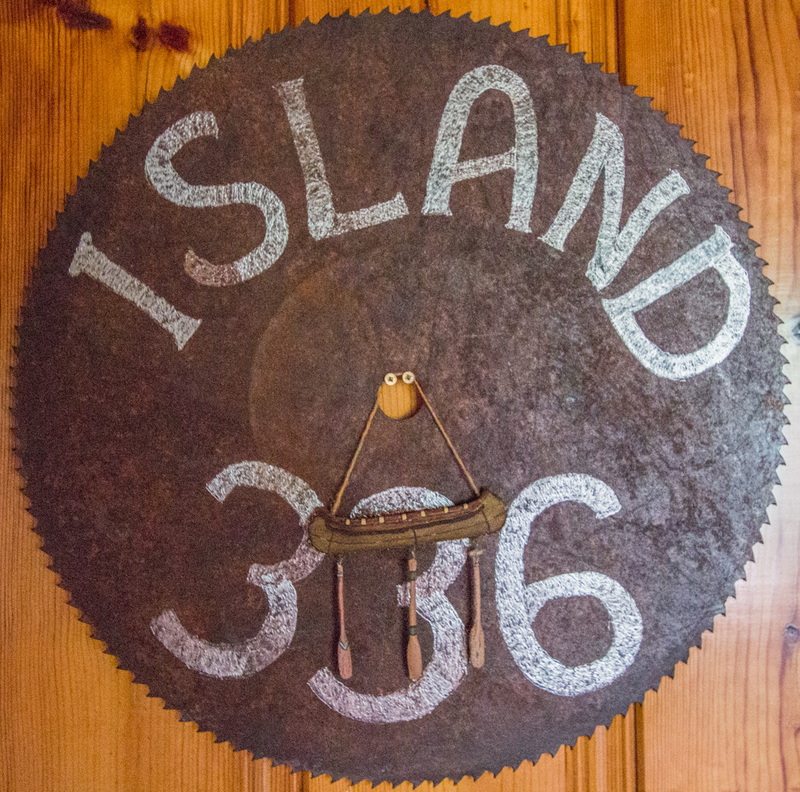 Island 336 boasts residences consisting of a 4400 sq. 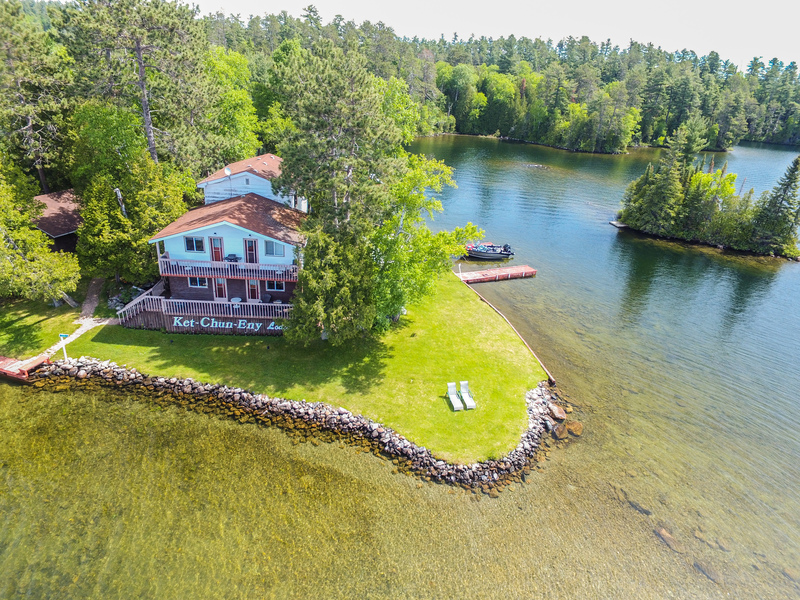 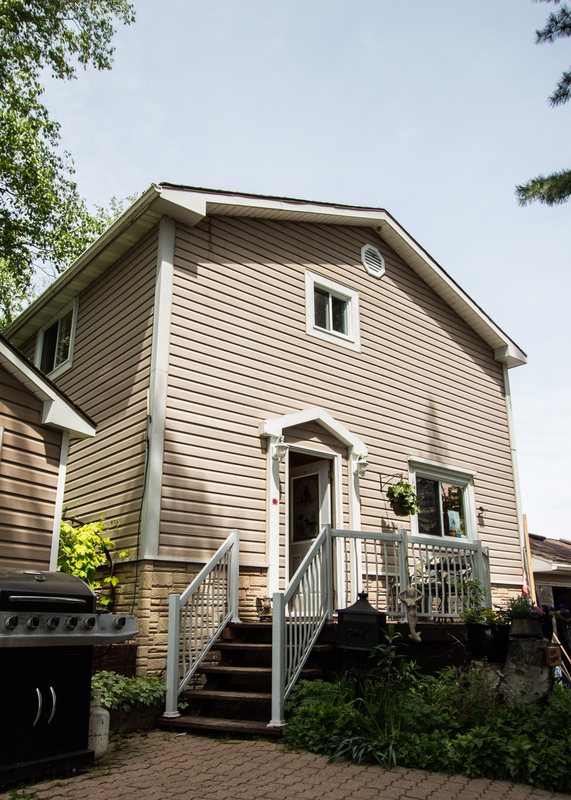 ft. main residence with 6 bedrooms, great room, 2 kitchens, dining room with stone fireplace and the charm of true north. 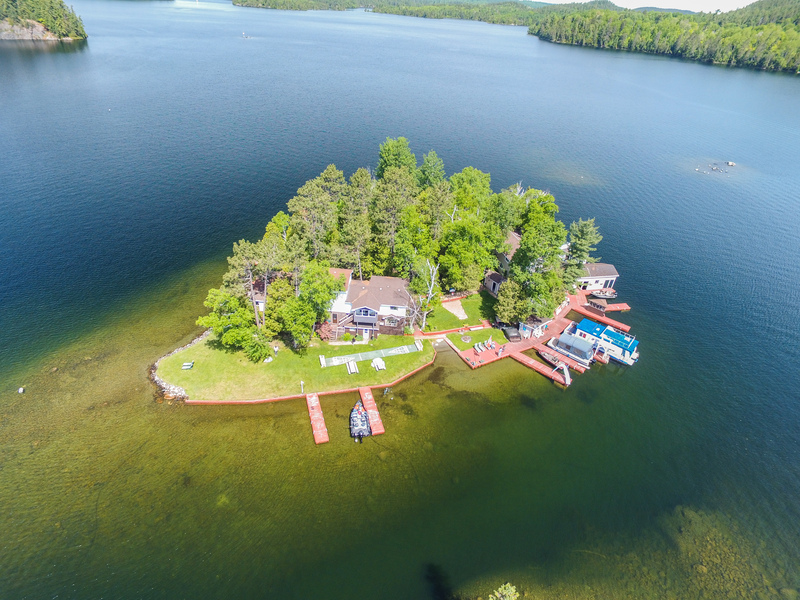 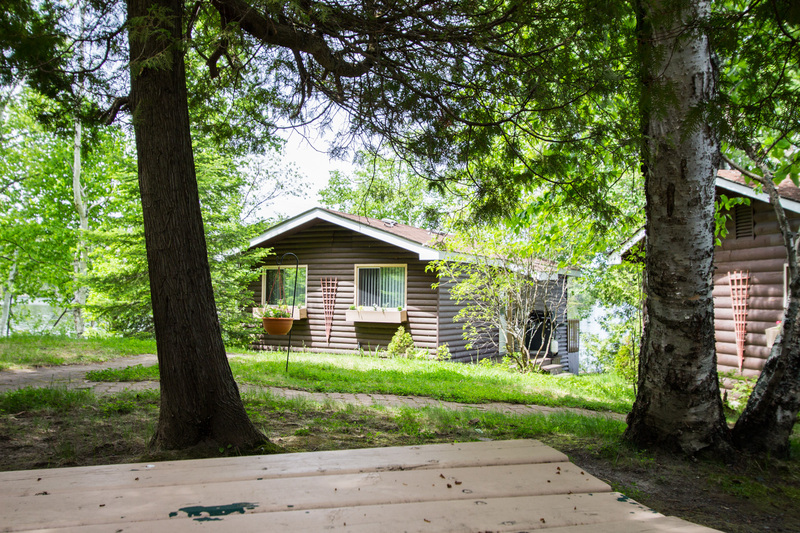 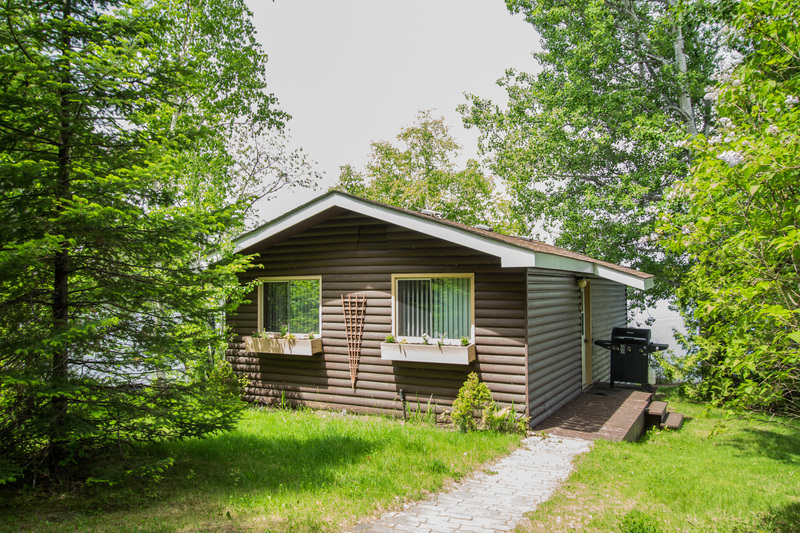 The island will call for company if so desired with four two bedroom cottages for friends and colleagues and still yet another four bedroom island home for family. 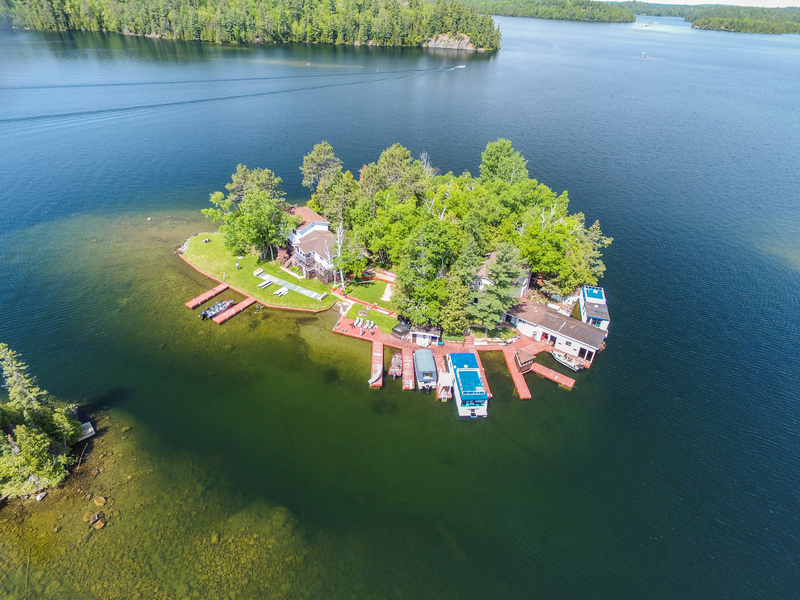 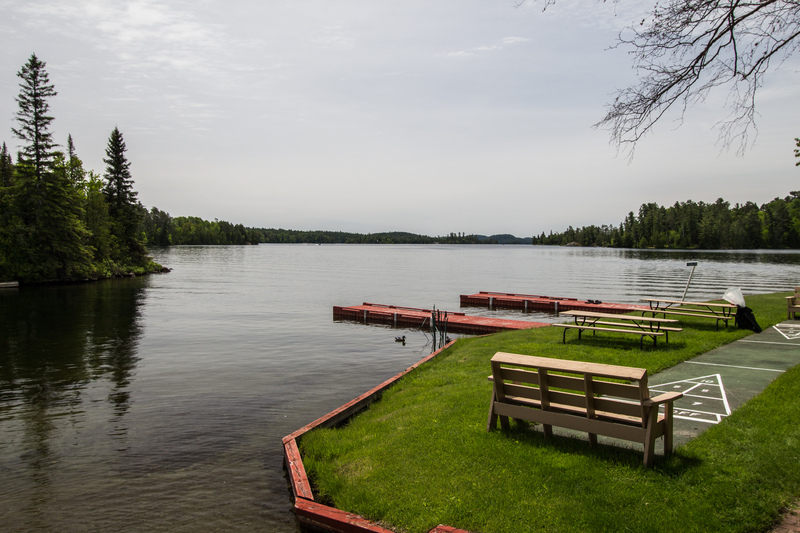 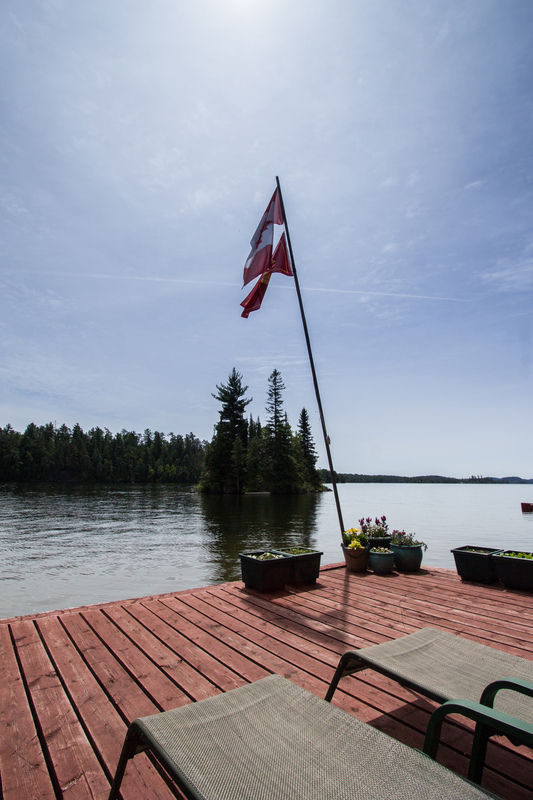 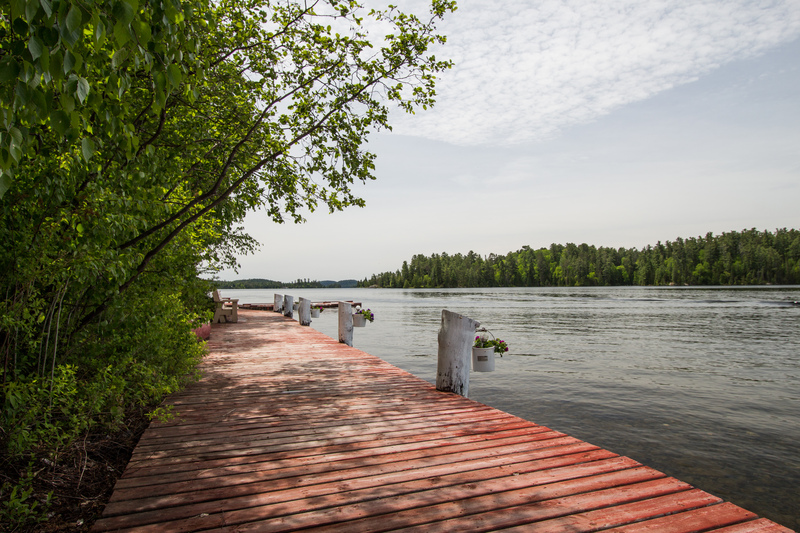 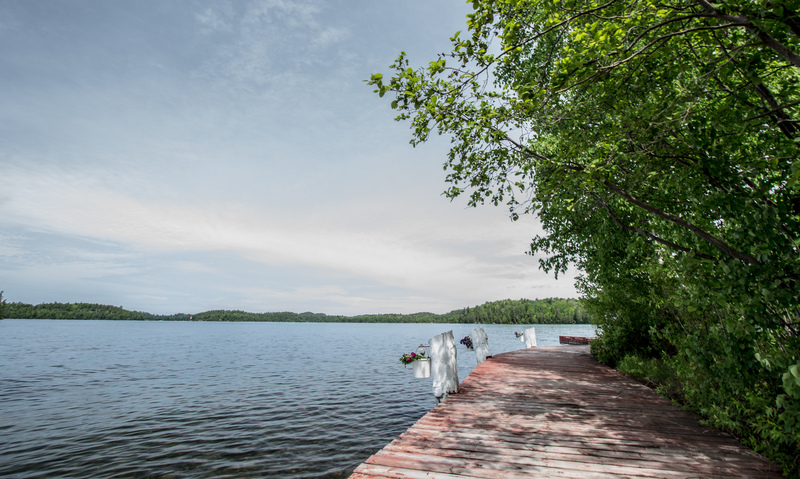 With 5500 feet of dock half circling the island it is the most relaxing atmosphere conducive of long summer day dreams on the dock of the bay. 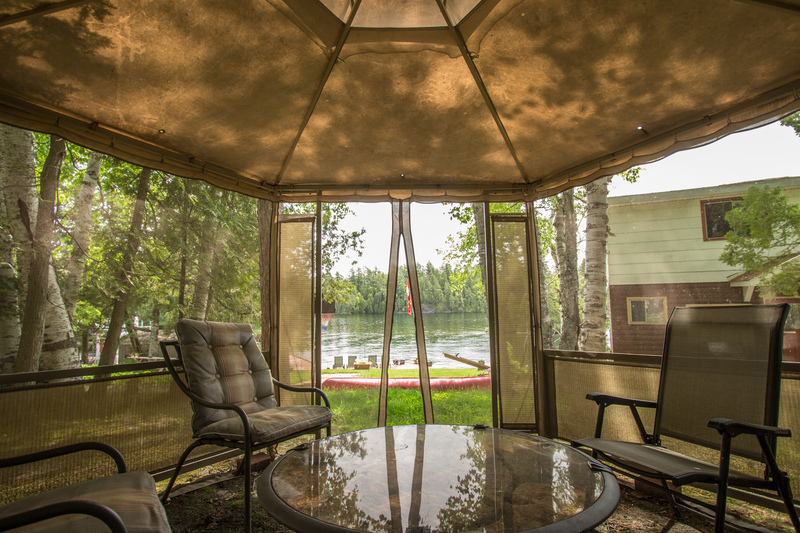 Beautifully level with just the right coverage of trees to allow for privacy for all, yet entertaining areas for activities and mingling. 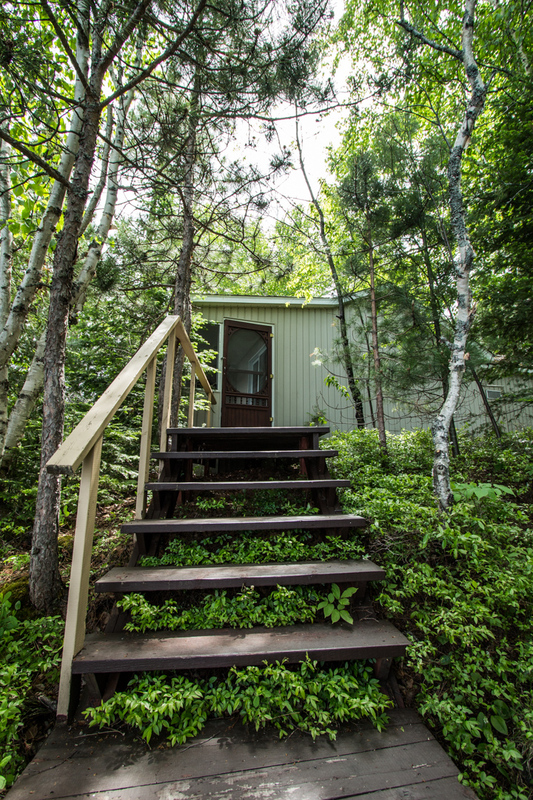 Drive your craft into the 855 sq.ft. 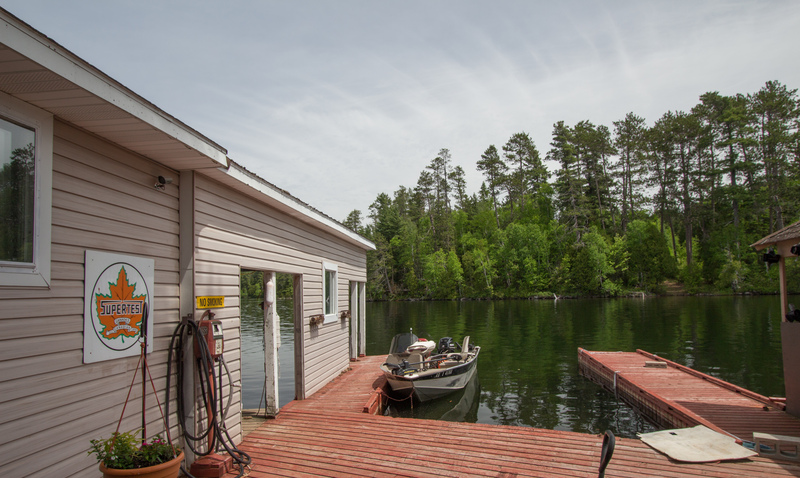 boat house with hoists for winter storage and plenty of room for water toys. 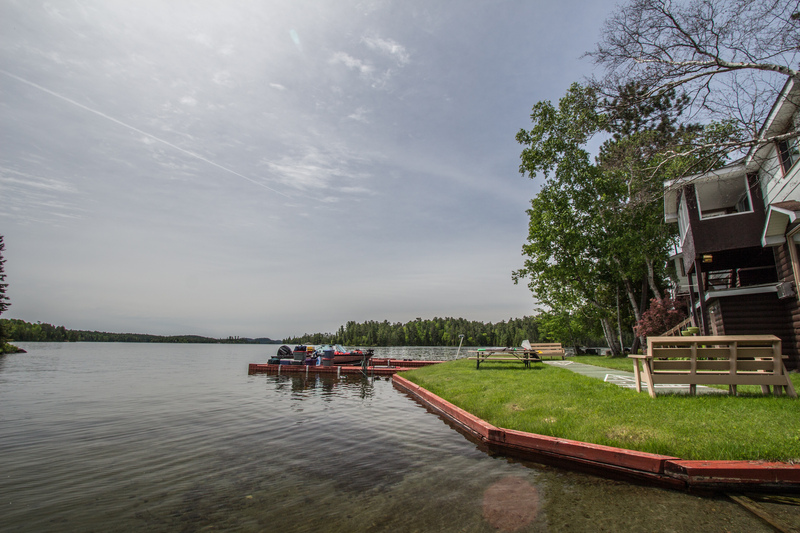 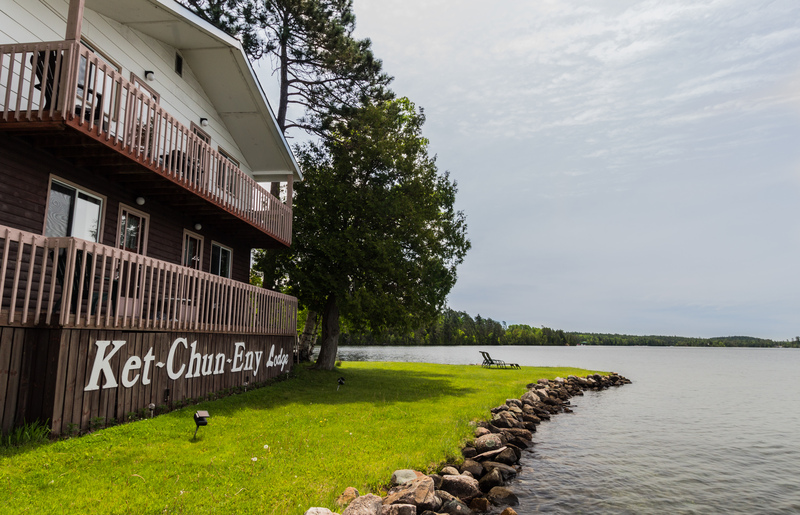 The access is a short boat ride from main land, pontoon boat included.